Item # 315641 Stash Points: 15,300 (?) This is the number of points you get in The Zumiez Stash for purchasing this item. Stash points are redeemable for exclusive rewards only available to Zumiez Stash members. To redeem your points check out the rewards catalog on thestash.zumiez.com. 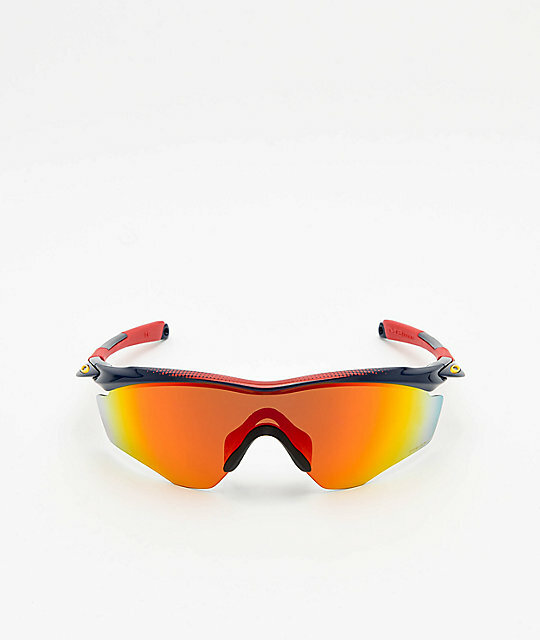 Pushing the boundaries of athletic eyewear, Oakley unveils their M2 XL Snapback Navy and Red Prizm Sunglasses. Made with an aerodynamic design, these sunglasses make for a great choice for physical activities such as cycling and running. Lightweight and equipped with Oakley's Prizm lenses for optical clarity when outdoors, the M2 XL is prime choice for active lifestyles. 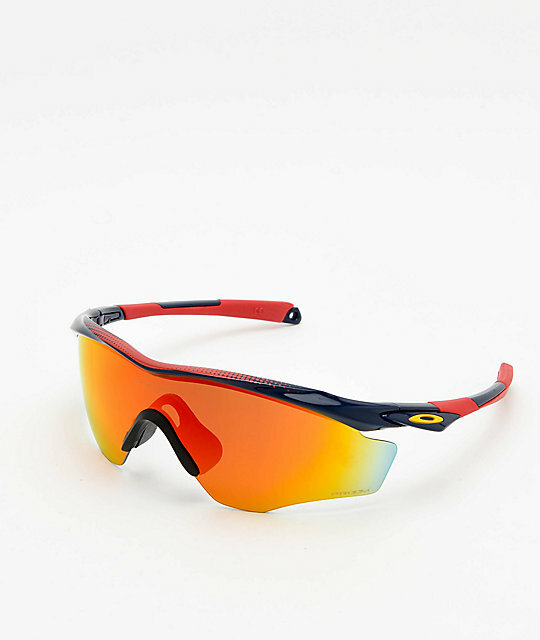 M2 XL Snapback Navy and Red Prizm Sunglasses from Oakley. Specialized lens curvature provides increased protection. Prizm lenses enhance vision and provides UV Protection filtering 100% of all UVA, UVB, UVC and harmful blue light. Unobtainium nosepads and earsocks for grip and comfort. Comes with microbag carrying case.